Halloween should be an enjoyable and fun time for individuals of all ages, especially children because they love trick-or-treating and dressing up as their favorite character for the night. However, this magical night can turn into a chilling horror story in the blink of an eye all because of something that could have been prevented. Every year in the United States, hundreds of eye injuries are seen in emergency rooms because of costumes and other avoidable situations. 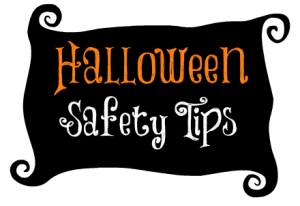 Below is a list of 13 tips that will help you have a fun and safe Halloween night. 1. Avoid costumes with floppy hats, masks, wigs and eye patches because these accessories block vision. 2. Hats and scarves should be secured to stop them from falling onto your face. Have a Happy Halloween night!